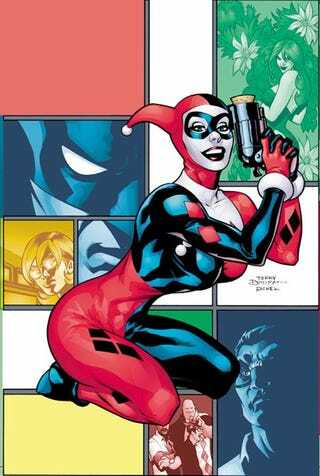 Harley Quinn is something of a runaway success. For a character who initially appeared as a background, one off minion, she managed to grow to be a major player in the complicated relationships of Batman and the Joker. But when a character represents a completely unhealthy, abusive, dysfunctional relationship, how do you handle a burst of popularity? I wrote an article for Kulture Shocked about it. Funny thing, but everybody seems to have written an article on Harley Quinn recently; mine puts a focus on analyzing the roles she’s played and how she’s changed over time due, in part, to her growing popularity.